Around the top of the building is a frieze containing names of notable Texans. 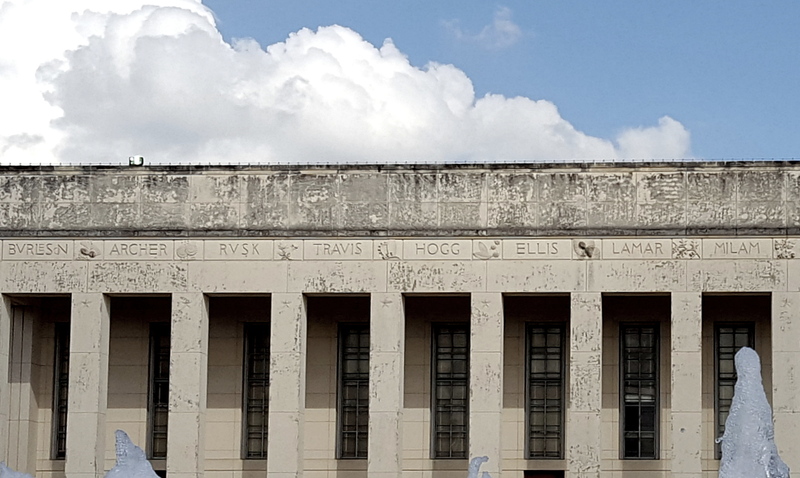 I’m sure a committee of some sort came up with this list of names which were carved into what was then the most expensive public building in Texas. All I can say is that it’s a shame they couldn’t have come up with just one more name — someone whose last name began with the letter “E,” because Mr. Barthelme arranged the first eight names to spell out his last name (which ended one letter too soon, at “M” — for Milam). I think if I had been in Barthelme’s position I might have just thrown in another name. Maybe “Erath.” …For closure. Click the photo below to see Mr. B’s winking historic signature. 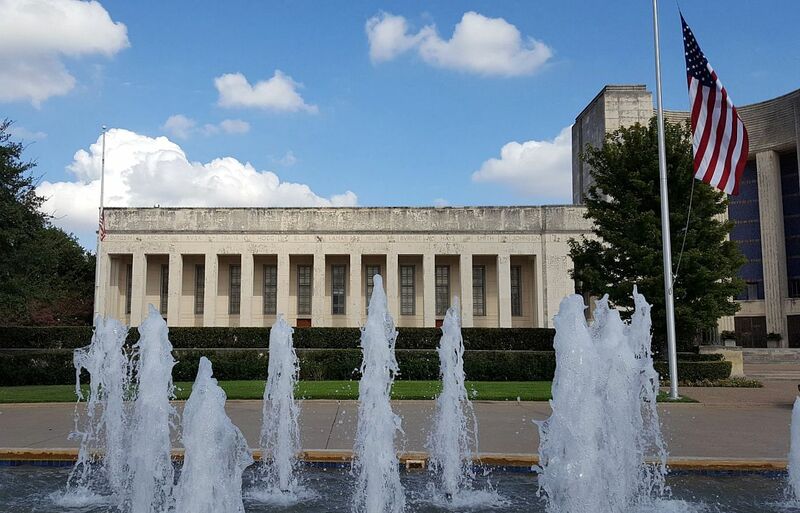 Few Texans know who designed the Hall of State — it was Donald Barthelme of Houston, assisted by 10 other architects — yet 53 years after it opened it continues to stir us. It is a building of exceptional individual pieces held together by a powerful central idea — an exemplary period piece that reminds us what public design used to be, and what much contemporary civic architecture is not. Photos of the Hall of State taken by me on Aug. 9, 2017. 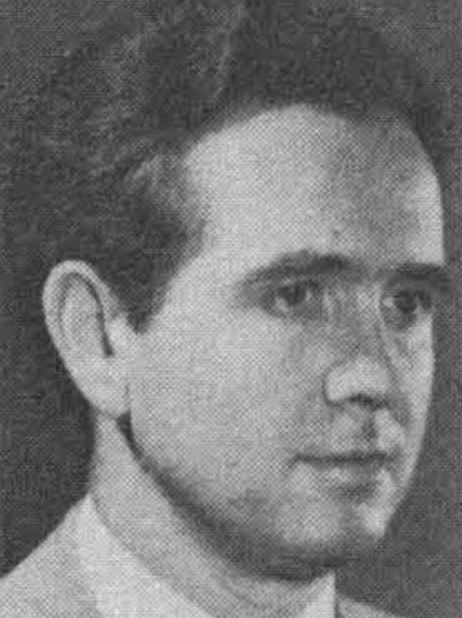 Photos of Donald Barthelme, Sr. taken from the 1949 and 1950 yearbooks of the University of Houston where he was an Architecture professor for many years. 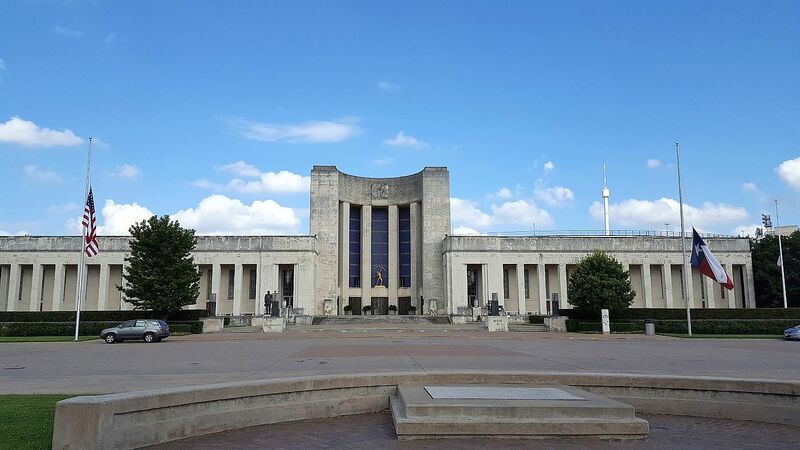 David Dillon quote from his article “An Old Friend Triumphs Anew: The Hall of State Redo Affirms the Power of Great Architecture” (DMN, Nov. 14, 1989), written after an extensive renovation to the building. 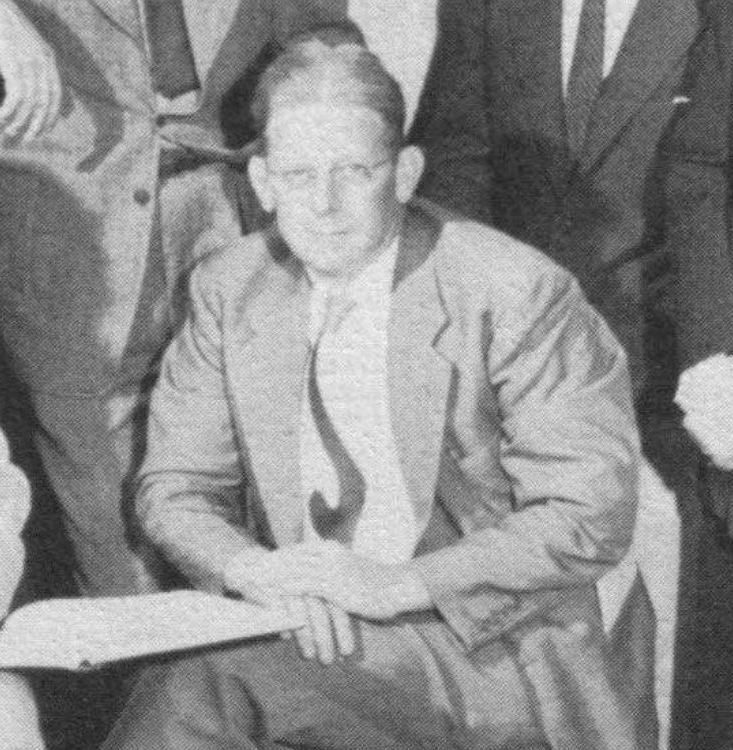 More on Barthelme at the Handbook of Texas History and on Wikipedia. More on the exterior of the Hall of State from Steven Butler (with a list of the names carved into the frieze) here. How “Da Vinci Code” of him. Well done! Ha! Every time I think of this, I laugh. In a good way. I had him for a professor in architectural design at UofH. I loved this guy. He was a great teacher and thinker and could really use different mediums to express designs.